Whether you are getting tired of your bathroom or you would like to make better use of your space, a bathroom remodel near Jacksonville can be a great way to solve the issue and let you enjoy your home to the fullest. Fortunately modern bathroom design emphasizes creativity and freedom, and there are many templates that you can look towards for ideas. Since it always helps to have a plan before beginning your project, get inspired with these bathroom remodel ideas. If you have decided to remodel your bathroom because your design has not held up over time, consider making the jump to something much more modern. Today’s bathrooms play with intense colors and stark contrasts to create calm and luxurious environments. Consider painting your walls a deep red or covering them in a bold red wallpaper. You can then introduce elements of black around the room to contrast with the vibrant red hues. If your bathroom does not have windows or is not in an area where much natural light comes in, use a mirror to reflect your artificial lighting and fill the room. The only thing more luxurious than a bath is bathing in sunlight. If you have a second floor bathroom or you live in a particularly secluded area, you have the opportunity to create large windows through your bathroom remodel. This can allow you to wake up and start your day with a dose of vitamin D, and it lessens the burden of artificial lighting; this, in turn, can even save you money on your energy bills. Place a tub in the middle of the room and surround it with natural elements like stones and plants to round out your airy, contemporary bathroom design. The best kind of design is one that is practical, and a double vanity is exactly that. 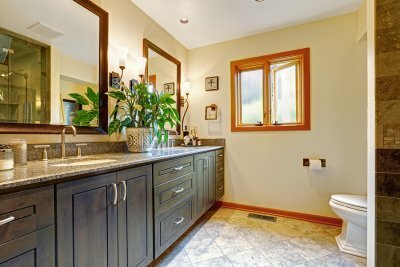 If you live with your significant other, you might want your bathroom remodel to bring in a double vanity. This allows you to make the most of a larger bathroom and prepare for the day alongside your companion. Hiring a plumber is a major decision for a homeowner. From toilet repair to water heater installation and more, your plumber will assist you with a variety of important household tasks. When you are seeking a plumber serving Jacksonville, it is essential to seek out a master plumber that is fully licensed and insured. In order to become licensed, plumbers must undergo a rigorous certification and examination process. 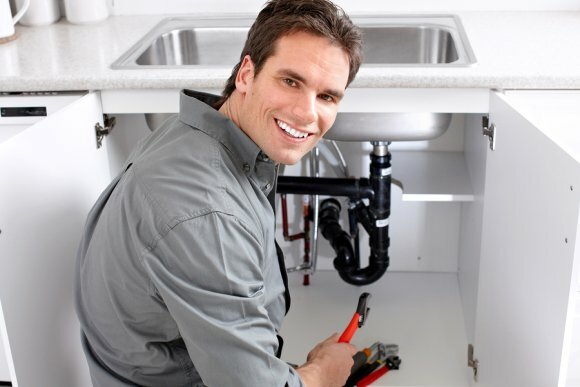 By hiring a licensed plumber, you can rest assured that your plumbing professional has the knowledge and tools needed to address your plumbing needs. For example, your licensed plumber will be able to work on everyday plumbing tasks, as well as major plumbing emergencies. A licensed plumber will also carry insurance, which will protect you in the event that there is an accident during your plumbing service appointment. With the help of a licensed plumber, you can make sure that your plumbing remains in terrific working shape for all of your daily household tasks. Your hot water heater supplies all of the heated water for your home’s appliances and fixtures. Since water heaters are designed to last for up to 15 years, chances are that you will need to plan a water heater installation with your plumber at some point while you are living in your home. To get the best efficiency and function from your new water heater, you may want to consider installing a tankless water heater in Jacksonville. With a tankless water heater, your home will be supplied with hot water on demand. Here is a look at some essential information about tankless water heaters in your home. 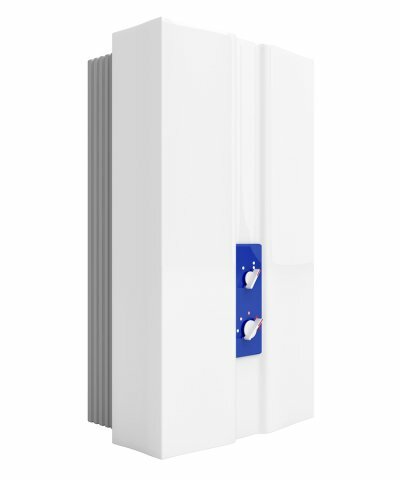 Tankless water heaters are unique in their design. Unlike conventional water heaters, which store large quantities of hot water all at once, a tankless water heater creates hot water on demand. When you turn on your hot water faucet, water will begin flowing through your pipes. Once it passes through the tankless water heater, it will be instantly heated to perfection. There are many benefits to installing a tankless water heater in your home. When you make the switch to a tankless water heater, your new unit may be up to 50 percent more efficient than a conventional model. In addition, you can expect your tankless water heater to last for up to 20 years or longer. Finally, tankless water heaters also offer a unique, space saving design. You will have several factors to consider when you are choosing a tankless water heater for your home. First, you will need to determine what fuel source will be the best fit for your needs. Tankless water heaters can be fueled by propane, natural gas, or electricity. Once you have selected a fuel source and style, you will need to decide what size of water heater will be the right fits for the demands of your household. With these factors in place, you will be ready for your installation. Your water heater is among the most energy-hungry appliances in your home. If you are seeking a great way to cut back on your utility bills, you may want to ask your plumber about installing a tankless water heater. With a new tankless water heater, you can vastly improve the efficiency of your plumbing system. Your plumber serving Jacksonville can help you choose the best new water heater for your home. With recent advances in hot water heater technology, your new water heater installation will be a terrific investment for the quality and efficiency of your plumbing system. To learn more about the benefits of examining the efficiency of your water heater, check out this video.